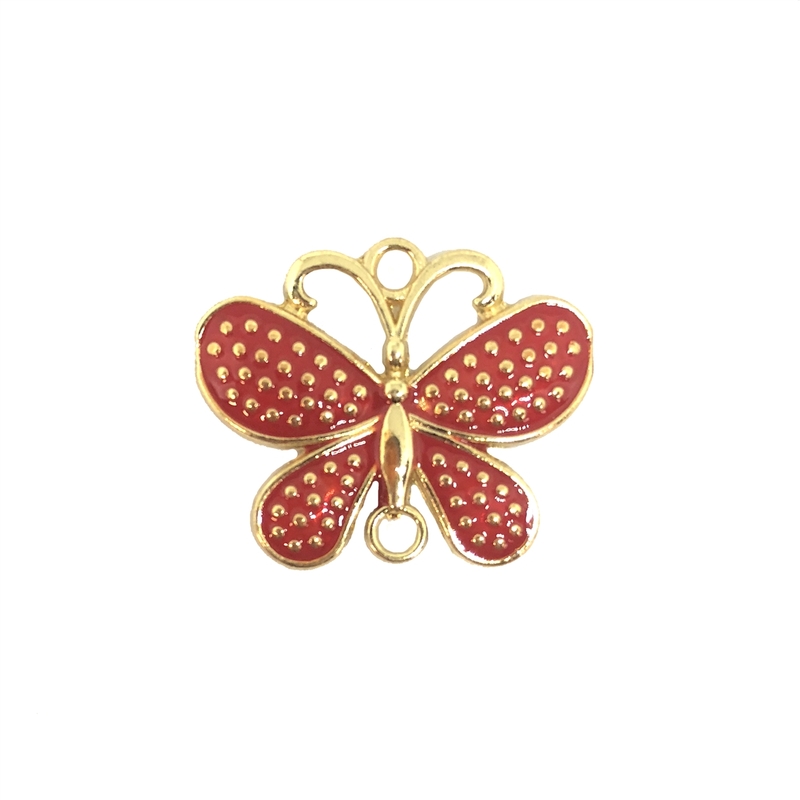 Cast Zinc, Gold Plated and Red Enameled butterfly connector. 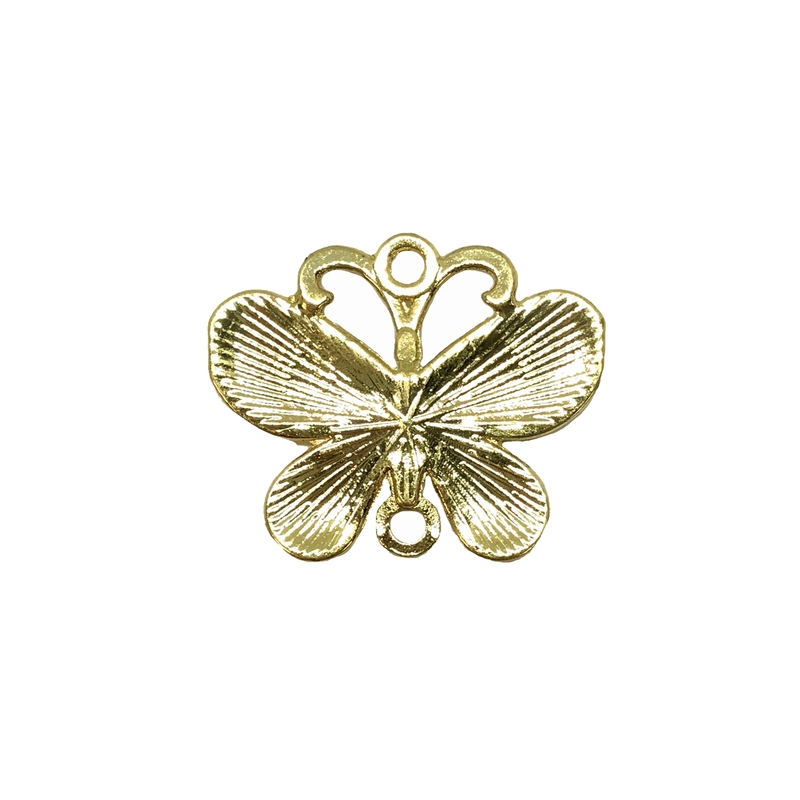 This charming little butterfly is the perfect accent for any project! Can be used as a connector but could also make a darling pendant with a drop added to the bottom or a sweet pair of earrings! Nicely finished on the back. It measures 25mm wide by 20mm tall. Sold by the piece.